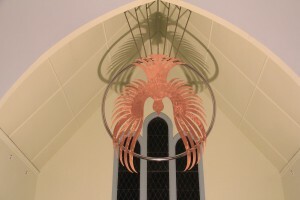 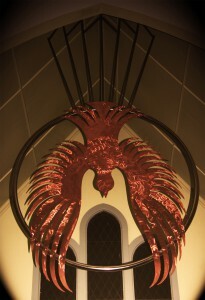 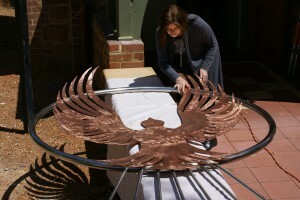 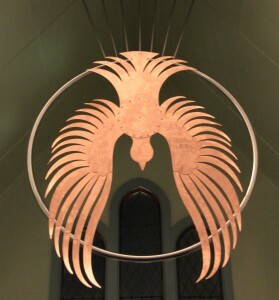 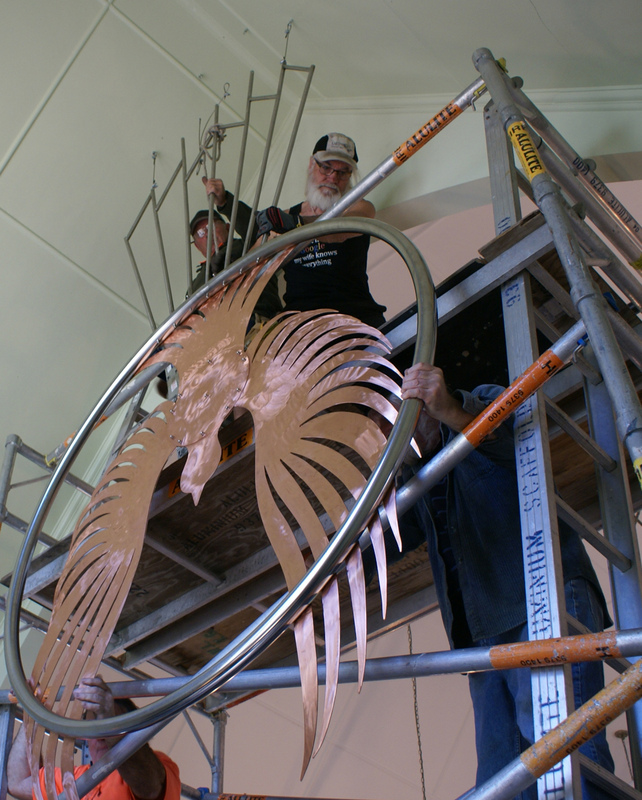 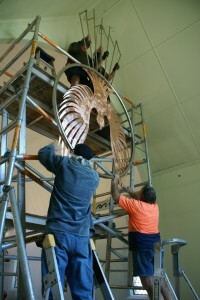 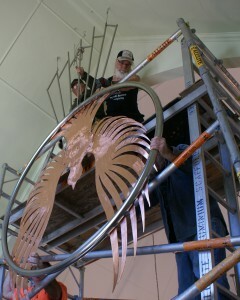 The Centenary Holy Spirit Commemorative Sculpture that was commissioned for our Centenary Celebrations has been designed and created by the award winning local artists and sculptors, Joan Walsh-Smith and Charles Smith from Smith Sculptors .Their artwork is admired both here in Australia and Internationally. 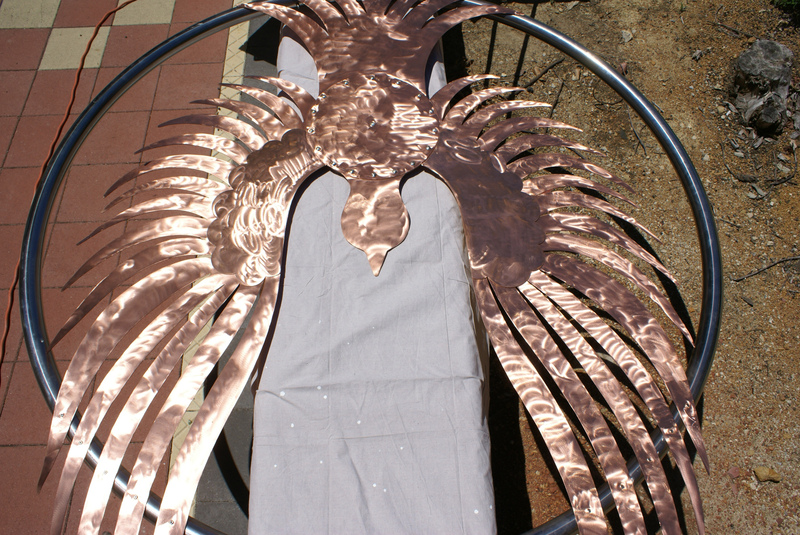 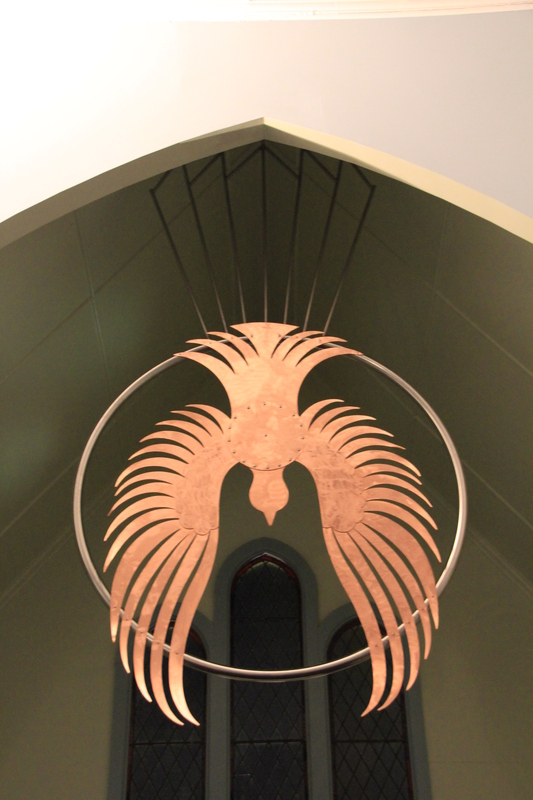 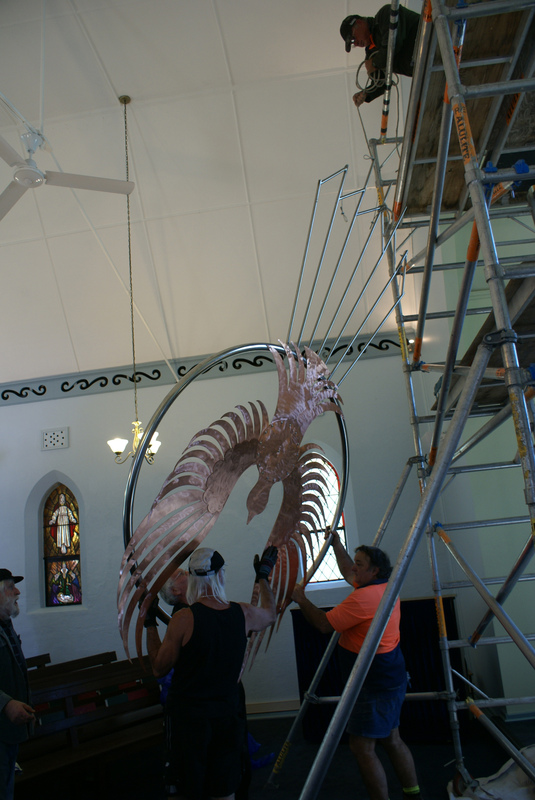 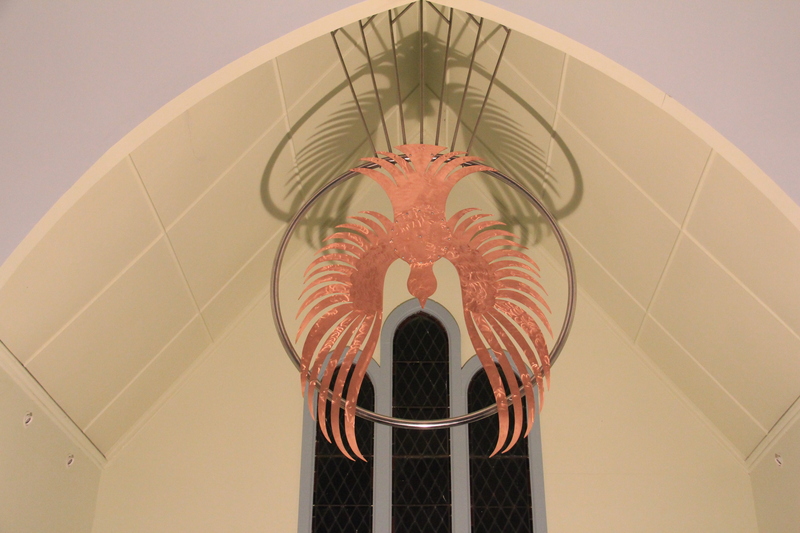 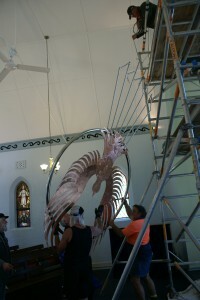 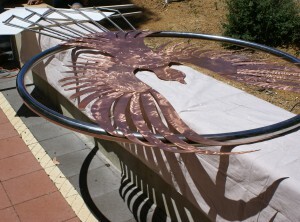 This sculpture was installed at the Church of the Epiphany in Mundaring on Tuesday 21st Oct 2014. 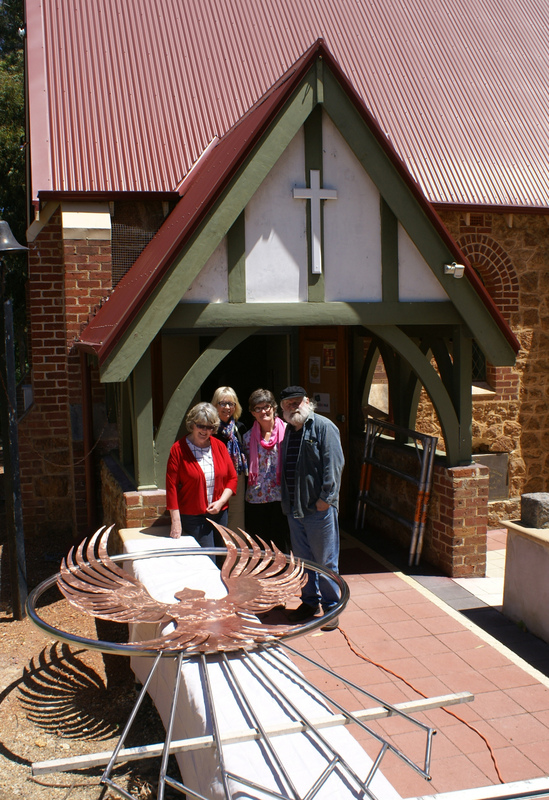 It was a wonderful moment for all concerned leading up to the Commemoration Service on 16th November 2014. 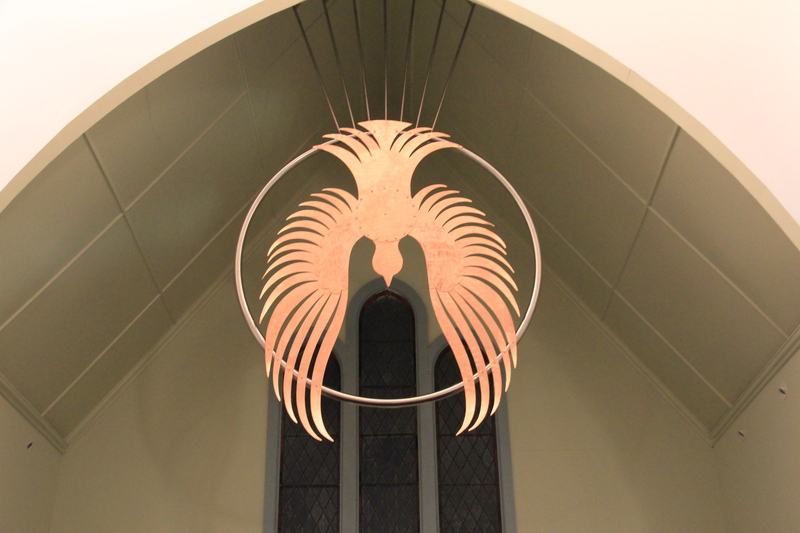 The Dove is the emblem of the Holy Spirit throughout Christianity and is instantly recognizable as a symbol of inspired through, purity and peace. It is 1200mm from wing tip to wing tip and its abraded brass finish makes it shimmer in the light. 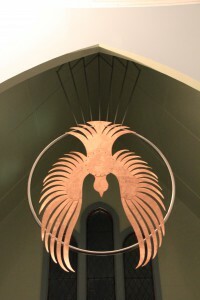 The Dove is within a circle of approx. 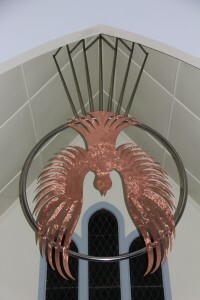 1250mm. 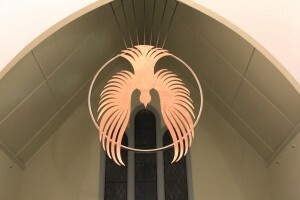 Through Christian worship the Holy Spirit joins Past, Future and Present with Eternity.